I feel like I've seen Jeniffer Hudson perform more of Aretha Franklin's material than I have her own. Still, she's one of a few Divas who has the requisite pipes to do the material justice. Though the Diva struggled on some of the lower notes (from what I saw), there were no such problems at the top of the range- girl was WAILING! 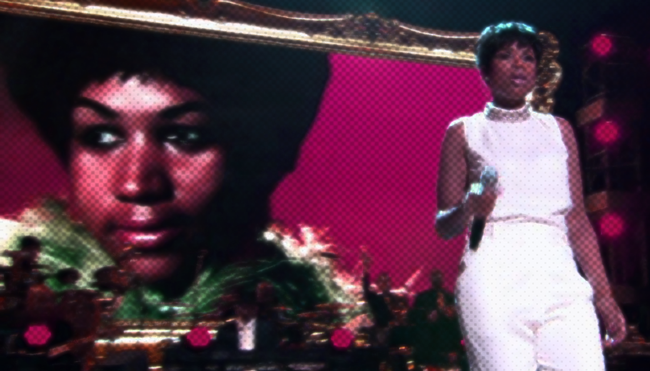 This was another fitting tribute to the Queen of Soul. And that's lucky too, because Aretha ain't afraid of shading anyone!